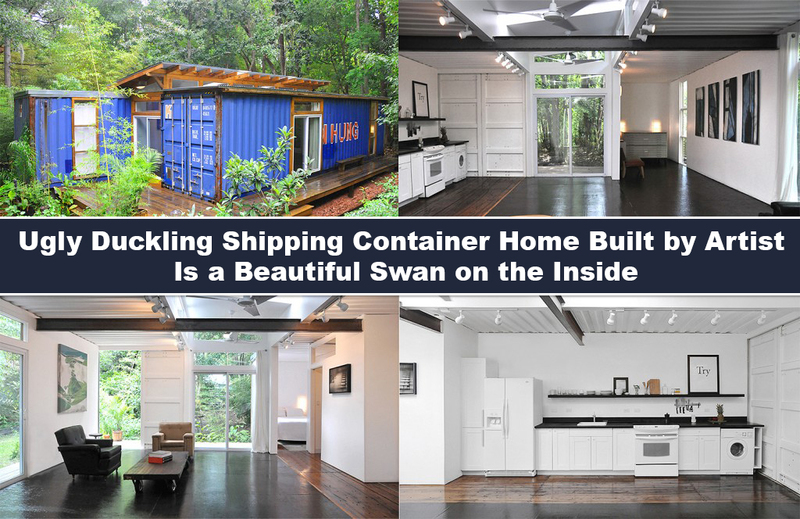 This shipping container home might be the ugly duckling on the outside, but the inside screams beautiful swan. 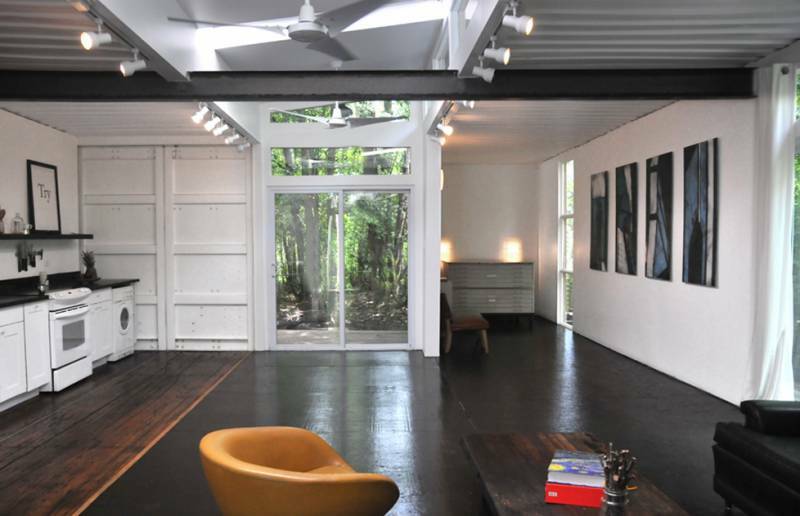 Design meets function meets artistic style. 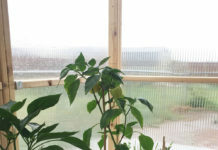 It may not look spectacular on the outside, but what it lacks in appeal on the exterior, it more than makes up for inside. 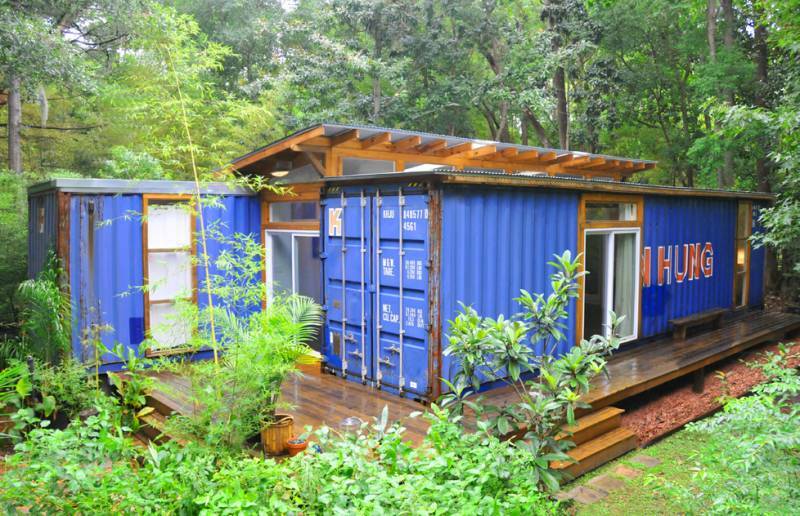 It’s not really ugly on the outside, and in fact it’s actually rather quaint, and slightly appealing in a recycled kind of way. The “Wow Factor” factor strikes you when you view the interior. It just goes to show you that you should never judge a book by it’s cover. In this case don’t let the outside fool you. 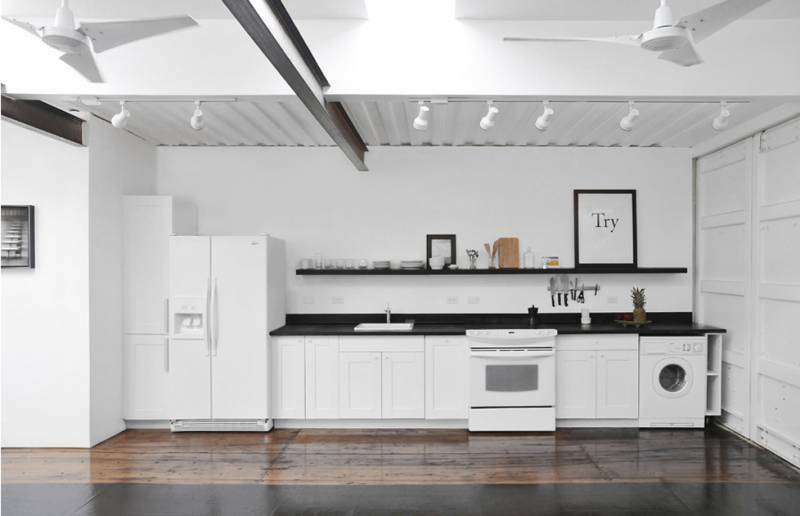 This is a home worth a second look. The Savannah Project by Price Street Projects in Savannah, Georgia, USA. 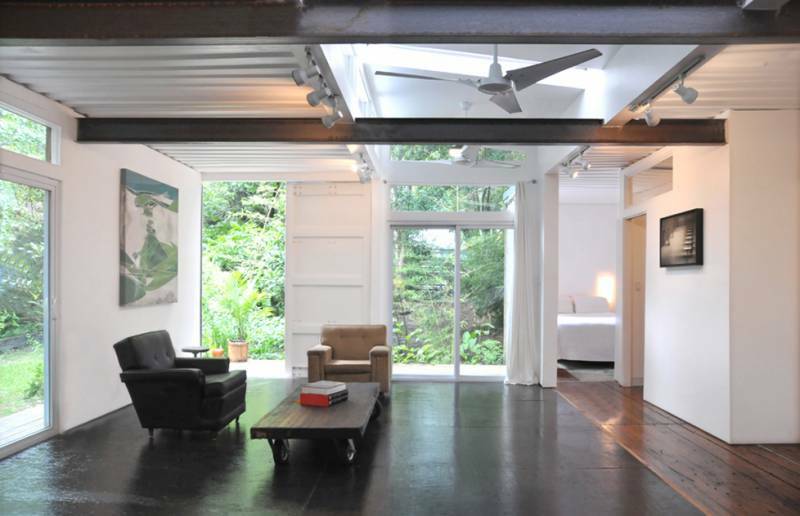 As a port city, Savannah has an abundance of obsolete shipping containers. 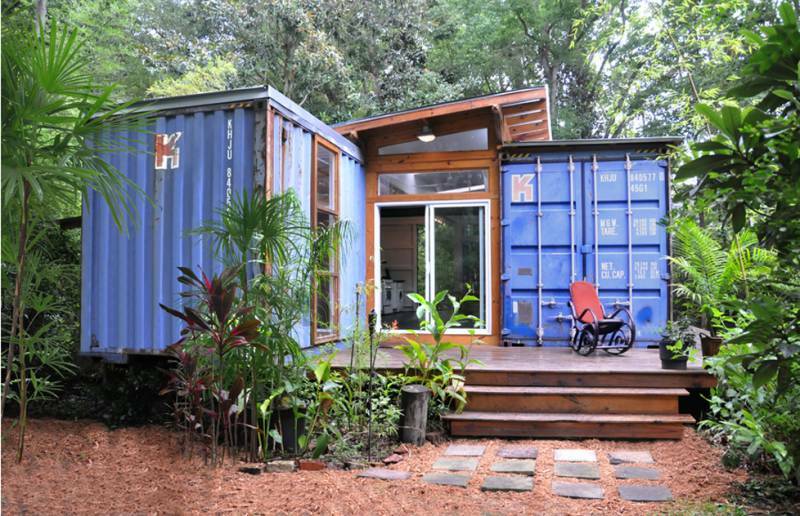 Artist Julio Garcia repurposed two of these containers to create his residence and studio in the Savannah woods.